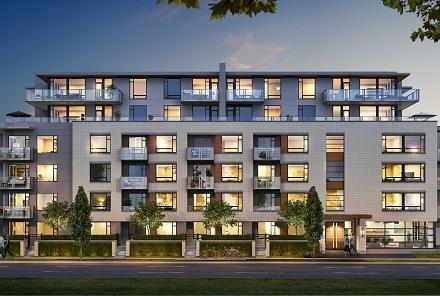 Livingstone House is a new condo and townhouse development by Intracorp Projects Ltd., currently in preconstruction at 5149 Cambie Street in Vancouver, by Queen Elizabeth Park. Sales start at $469,900 for 1 bedroom and $749,000 for 2 bedrooms. The development has a total of 55 units; concrete construction, air conditioning.